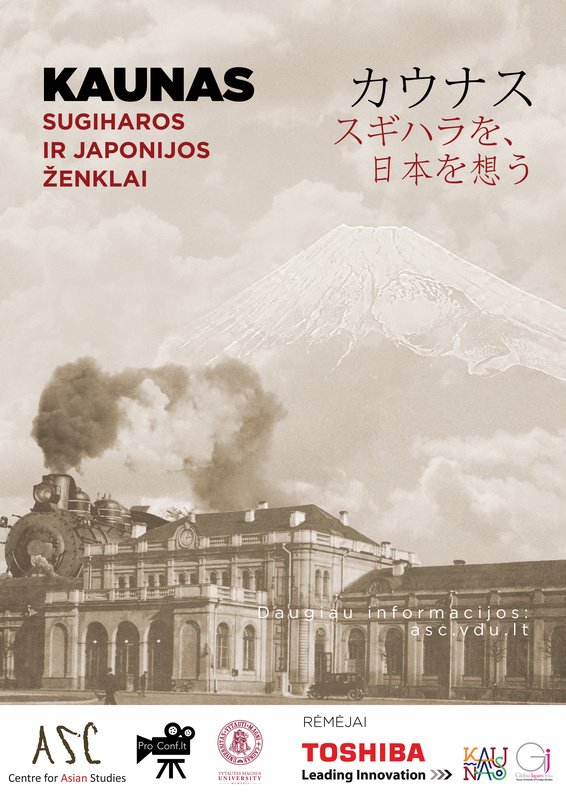 Those who have not yet been able to see the picturesque documentary about the relationship between Kaunas and Japan are welcome to the screening of the documentary “Kaunas, the City of Sugihara and Japan” on February 7th. After the screening together with the Deputy Kaunas City Mayor Mr. Simonas Kairys we will remember Kaunas work with Japan during the years. Since 2006 Mr. S. Kairys is the Head of Sugihara Group for Kaunas-Japan Relations Development. Due to this group creative projects have been initiated in Kaunas. One of them is Sugihara Week, more active cooperation with Gifu Municipality, etc. Time: February 7th, 5:30 PM. Location: Vytautas Magnus university, room 103, V. Putvinskis st. 23 (Kaunas).